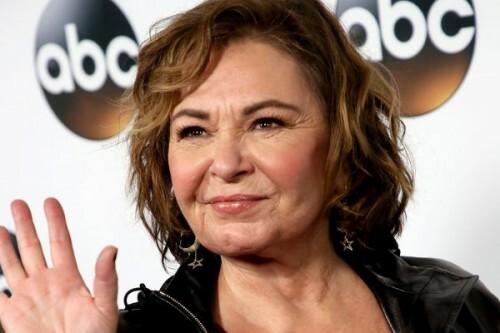 Los Angeles : TV star Roseanne Barr says she feels remorse over the Twitter rant which led ABC to cancel her sitcom "Roseanne". Barr grabbed headlines with her racist tweets om response to a comment about Valerie Jarrett, a top former aide to former US President Barack Obama. In one tweet, she wrote: "Muslim brotherhood and planet of the apes had a babyvj." Now TV host Rabbi Shmuley Boteach has released an edited transcript and audio recording of the interview he conducted with Barr shortly after the cancellation of her series, reports variety.com. In the interview, Barr claims that she "never would have wittingly called any black personaa monkey." "It's really hard to say this but, I didn't mean what they think I meant," Barr said of her tweet. "And that's what's so painful. But I have to face that it hurt people. When you hurt people even unwillingly there's no excuse. I don't want to run off and blather on with excuses. But I apologise to anyone who thought, or felt offended and who thought that I meant something that I, in fact, did not mean." She admitted that it was her own ignorance and that there was no excuse for that. Barr, tearful, said "you have to feel remorse, not just repentance", variety.com reported. "You have to take an action in the world - whether it's through money or other things - to correct your sin. After your heart is unfrozen and after it stops being broken from the pain you caused others, you stop being a robot and you gotta come back to God. "So it's remorse, and I definitely feel remorse." Barr said she has black children in her family. "I'm a lot of things, a loud mouth and all that stuff. But I'm not stupid for God's sake. I never would have wittingly called any black person, (I would never had said) they are a monkey. "I just wouldn't do that. I didn't do that. And people think that I did that and it just kills me," she said. As the interview drew to an end, Barr expressed the desire to reach out to Jarrett personally to apologise.